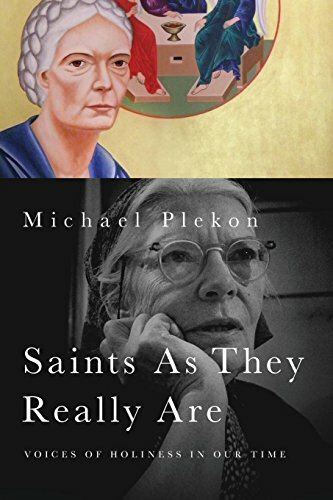 Michael Plekon has a penchant for the also-rans of Christian sanctity. Books by his favorites among his fellow Eastern Orthodox—Alexander Schmemann, John Meyendorff, and Alexander Men—were burned by a Russian hierarch as recently as 1998. Dorothy Day has made it into the canonization process but amidst fierce resistance on account of her abortion, many lovers, and leftwing politics; Thomas Merton, prolific and beloved monastic writer though he was, probably engaged too much with other religions to get even that far. Etty Hillesum and Simone Weil were not baptized. Andrew Krivak left the Jesuits. Sara Miles, Darcey Steinke, and Barbara Brown Taylor openly confess their doubts, flaws, and transgressions—and have the slight impediment of still being alive. Even among the safely canonized, Mother Teresa of Calcutta and Thérèse of Liseux earn more praise from Plekon for the pain of their unvarnished journals than for the bright and shiny image they've acquired in popular religiosity. This is not plain old contrarianism on Plekon's part. He joins the ranks of other theologians who, starting in the early 20th century, have called into question the official procedures of canonization and argued for a reconceived notion of holiness. A host of problems attend the traditional approach, from such a fixation on miracles that the saints become inaccessibly other from their fellow Christians to a "cult of celebrity" looking for sensations over fidelity. Along with writers like George Fedotov, Nadia Gorodetsky, Jim Forest, Michael Mott, Gillian Crow, Elisabeth Behr-Sigel, Olga Lossky, and Thomas Craughwell, Plekon has charted the waters of a "new hagiography" much needed in the unprecedented world situation where we find ourselves today. Plekon's quest to join in with other new hagiographers started at the margins of his own ecclesial community. Westerners are often little aware of the battles for theological direction taking place in the East, not least because one of the most intense battles is to what extent the East should even be in conversation with the West. A not inconsiderable number of Orthodox consign the whole lot to a state of unredeemed heresy and regard the faintest ecumenical impulse as treachery. To this attitude Plekon counterpoises—in Living Icons: Persons of Faith in the Eastern Church—the example of ten Eastern Christians, chosen for "their openness to the world, their creative yet ordinary ways of living out the gospel." Deeply rooted in and formed by the particular cultures of Orthodoxy, they nevertheless recognized that the Christian faith transcends every place, which in turn led them to a fearless openness toward the culture and faith of the West. This makes Plekon's Living Icons of equal interest to religiously Western and Eastern readers. Most of the figures here understood themselves as living bridges between the divided halves of the church, whose calling was to enact Christian unity in their own lives and bodies. Fr. Lev Gillet, for example, a French Catholic who started his ministry as a Benedictine monk, joined himself to the Eastern church through the simple concelebration of the Eucharist with an Orthodox priest: no rebaptism, no renunciation, no rite of reception—nor would he ever say that he had left Catholicism behind. Lay theologian Paul Evdokimov earned himself the (not entirely complimentary) nickname "Orthodoxy's Protestant" for his commitment to evangelical freedom, engagement with social questions, and passion for the "interiorized monasticism" that is the calling of every Christian, the married included. Nicholas Afanasiev is the source of the now international, interconfessional "communion ecclesiology" and was the only Orthodox mentioned in the working sessions and drafts of the Second Vatican Council. Plekon regales the reader with the lives and thought of these and other remarkable figures from the boundary line of East and West. There is Sergius Bulgakov, of whom it is said that "no theologian in the Eastern Church had produced a body of thought comparable [to his] since the fall of Byzantium," yet he remains virtually unknown and unstudied even among the Orthodox. Mother Maria Skobtsova (who did manage to make it to canonization on the strength of her death in a Nazi concentration camp) severely criticized the insularity of the religious orders of her day and sought in her own life to embody a new diaconally oriented monasticism. Gregory Krug, despite his lifelong struggles with depression, became a unique practitioner of "theology in color" as an iconographer. Alexander Schmemann and John Meyendorff strove for a truly indigenized Orthodoxy in the United States, free from the disastrous ecclesiology that would regard it as merely "diaspora." Alexander Men, a Russian priest, renewed the preaching of the gospel in his homeland but in so doing made enemies and was cruelly murdered; he is probably more widely admired now outside Russia than within it.